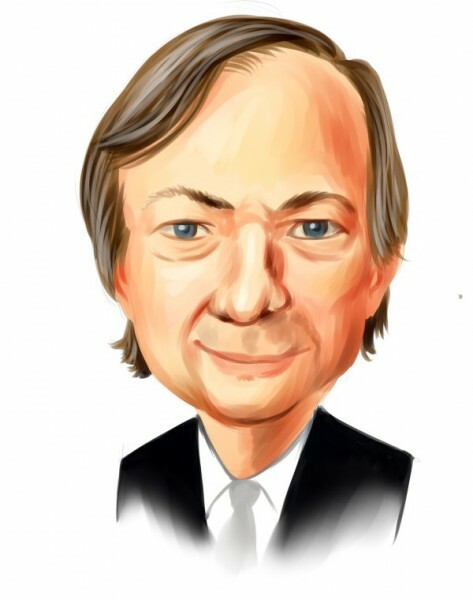 Were Hedge Funds Right About Flocking Into MSCI Inc (MSCI) ? How do you pick the next stock to invest in? One way would be to spend hours of research browsing through thousands of publicly traded companies. However, an easier way is to look at the stocks that smart money investors are collectively bullish on. Hedge funds and other institutional investors usually invest large amounts of capital and have to conduct due diligence while choosing their next pick. They don’t always get it right, but, on average, their stock picks historically generated strong returns after adjusting for known risk factors. With this in mind, let’s take a look at the recent hedge fund activity surrounding MSCI Inc (NYSE:MSCI). MSCI Inc (NYSE:MSCI) has seen an increase in support from the world’s most elite money managers lately. MSCI was in 38 hedge funds’ portfolios at the end of December. 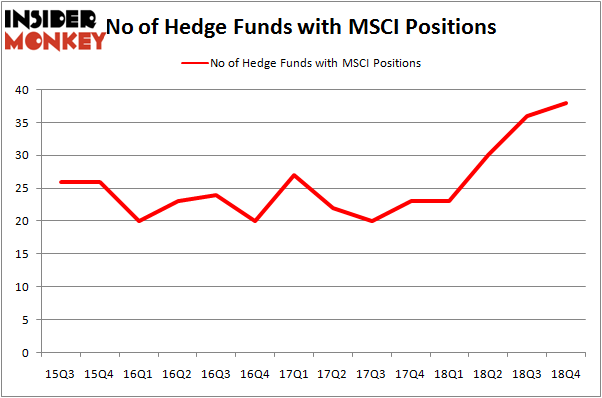 There were 36 hedge funds in our database with MSCI holdings at the end of the previous quarter. Our calculations also showed that MSCI isn’t among the 30 most popular stocks among hedge funds. We’re going to analyze the latest hedge fund action surrounding MSCI Inc (NYSE:MSCI). How are hedge funds trading MSCI Inc (NYSE:MSCI)? At the end of the fourth quarter, a total of 38 of the hedge funds tracked by Insider Monkey were bullish on this stock, a change of 6% from one quarter earlier. By comparison, 23 hedge funds held shares or bullish call options in MSCI a year ago. So, let’s examine which hedge funds were among the top holders of the stock and which hedge funds were making big moves. Among these funds, Renaissance Technologies held the most valuable stake in MSCI Inc (NYSE:MSCI), which was worth $134 million at the end of the third quarter. On the second spot was Arrowstreet Capital which amassed $62.7 million worth of shares. Moreover, GLG Partners, Kylin Management, and Millennium Management were also bullish on MSCI Inc (NYSE:MSCI), allocating a large percentage of their portfolios to this stock. Now, key money managers were leading the bulls’ herd. Harbor Spring Capital, managed by Amit Nitin Doshi, established the largest position in MSCI Inc (NYSE:MSCI). Harbor Spring Capital had $21.5 million invested in the company at the end of the quarter. Steve Cohen’s Point72 Asset Management also made a $8.3 million investment in the stock during the quarter. The other funds with brand new MSCI positions are Neal Nathani and Darren Dinneen’s Totem Point Management, Ken Fisher’s Fisher Asset Management, and Ray Dalio’s Bridgewater Associates. Let’s check out hedge fund activity in other stocks similar to MSCI Inc (NYSE:MSCI). We will take a look at Veeva Systems Inc (NYSE:VEEV), Discovery, Inc. (NASDAQ:DISCA), D.R. Horton, Inc. (NYSE:DHI), and Lennar Corporation (NYSE:LEN). All of these stocks’ market caps are closest to MSCI’s market cap. As you can see these stocks had an average of 41 hedge funds with bullish positions and the average amount invested in these stocks was $1079 million. That figure was $595 million in MSCI’s case. Lennar Corporation (NYSE:LEN) is the most popular stock in this table. On the other hand Discovery, Inc. (NASDAQ:DISCA) is the least popular one with only 24 bullish hedge fund positions. MSCI Inc (NYSE:MSCI) is not the least popular stock in this group but hedge fund interest is still below average. This is a slightly negative signal and we’d rather spend our time researching stocks that hedge funds are piling on. Our calculations showed that top 15 most popular stocks among hedge funds returned 19.7% through March 15th and outperformed the S&P 500 ETF (SPY) by 6.6 percentage points. Hedge funds were also right about betting on MSCI as the stock returned 29% and outperformed the market as well.